With Erstwilder's new collection I have paired one of my most treasured dresses with a very cute brooch from the new range. 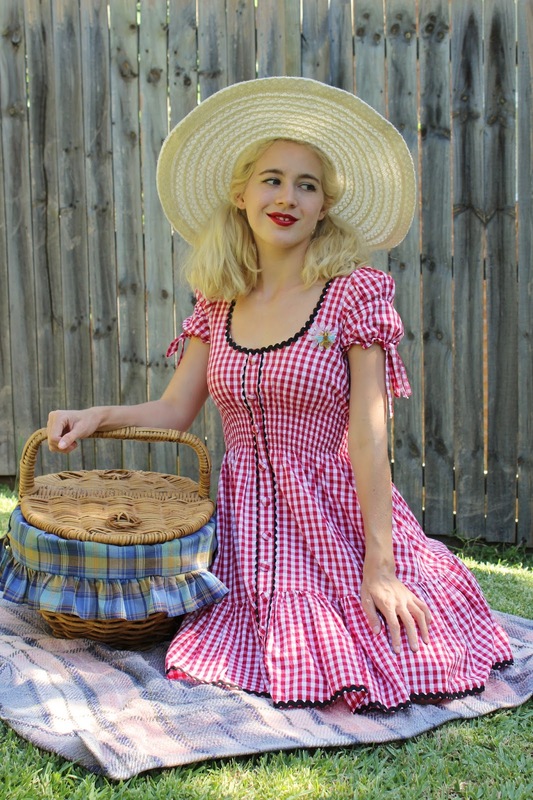 The new Pinup Picnic Collection by Erstwilder has to be one of the best yet and I'm sure that there is something for everyone. 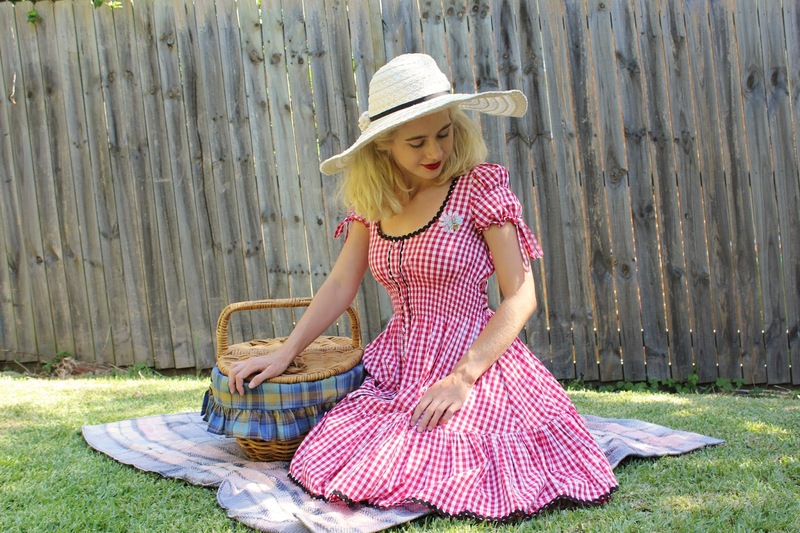 From cute pinup picnic girls, to pots of honey, jars of jam, cupcakes, bees and Australian favourites such as Fairy Bread (which was at every childhood party that I attended) and Vovos... This collection is candy for my eyes! 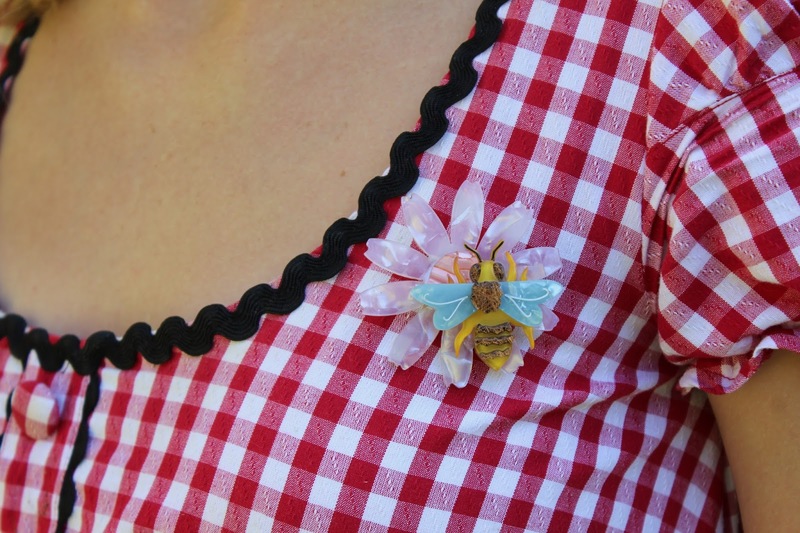 Though I could not go past the Busy Bee brooch, I love watching bees go about their day as they collect pollen and go from flower to flower - whether I be in the garden or at the park walking my dogs I always take a moment to watch them. I have a few outfits that I can't wait to pair this brooch with so keep an eye out! I bought this Hell Bunny dress about five years ago and it was around the time that I started collecting and wearing vintage style clothing. It's gingham with ric-rac, so it's pretty much perfect and I always look forward to pulling it out each spring and summer. Leo decided to join in for some photos and then had a little nap for this blog post. 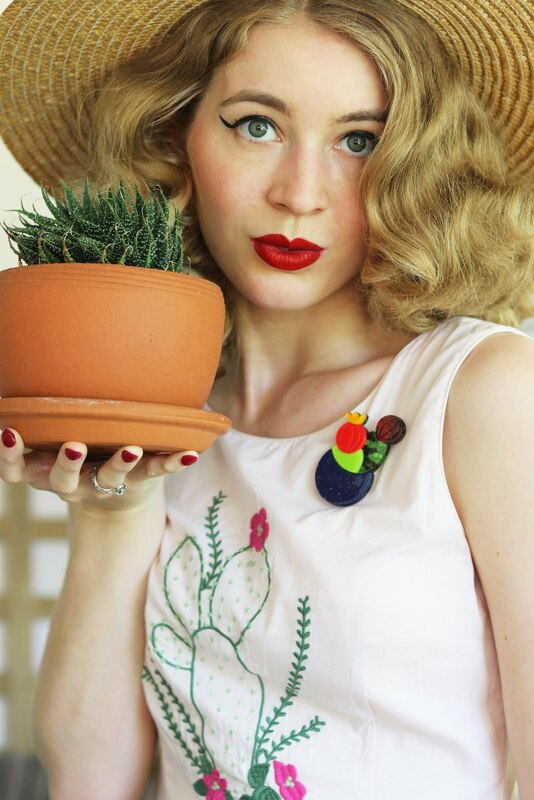 Do you have a favourite brooch from the new Erstwilder collection? See the full range here. This is sooo cute! 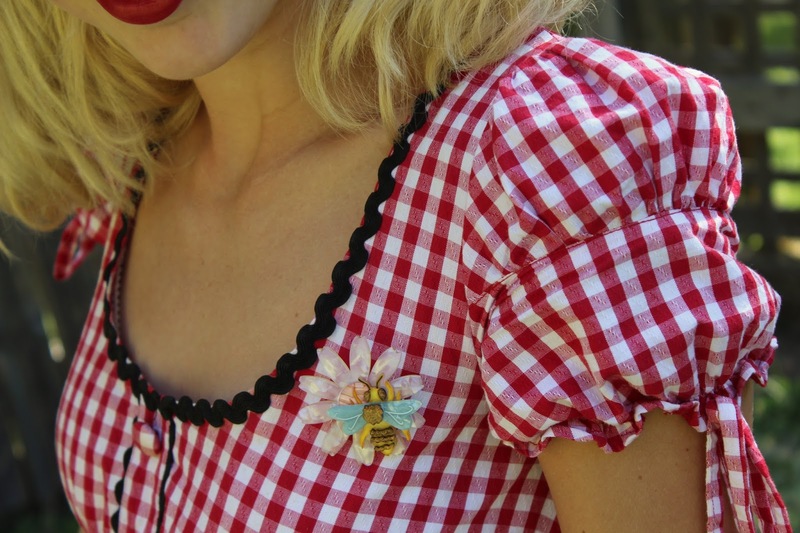 I love gingham and that brooch...eeek, I just went to their site and am in love with their pie one and tea set. Sooo adorable!! Oh there's quite a few I've been eyeing of from their new collection! Love the one you choose to blog...so cute! 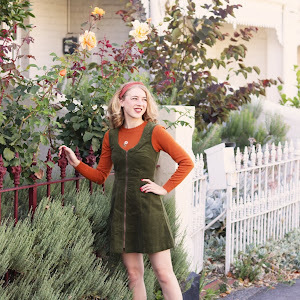 Oo this new Erstwilder range is popping up on blogs all over the place this week, I think it's looking very exciting! I'm yet to own a piece. I have to say that dress is just darling on you, no wonder you love it so much. We're far from picnic weather here, keep the sunny photos coming for us poor folks in the Northern hemisphere!! I love picnics so so much! 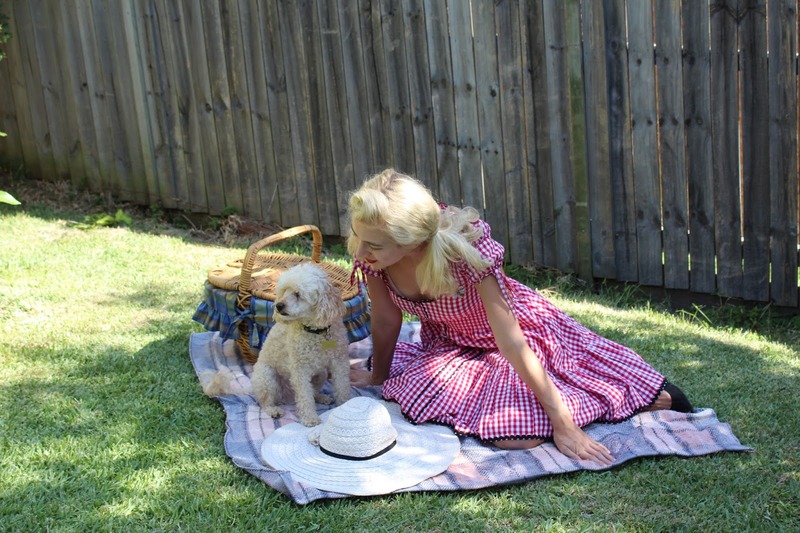 And this dress is the perfect match for a quaint little picnic. Red gingham is always sublime, like strawberries and cream! Love these pics! It's always so nice to see you with your dog friends! Very cute! I love the sweet and summery feeling of this. The end of winter is finally in sight in my hemisphere, and this has me really looking forward to warmer weather. Super-duper cute!!! Erstwilder's new picnic line is off-the-charts adorable. It's great to see one of the brooches from it in action here.